There’s no denying it…give me Instagram over Facebook any day! Every time I open up Instagram it’s like opening up a new magazine…designed by me, featuring what I want to browse through. I follow who I want…friends, designers, coaches….and am inspired by their thoughts, delighted by their visuals and humoured by their captions. I limit who I follow so that whenever I have a free moment …I open my magazine and I feel indulged! For me…Instagram is So Simple and So Perfect. The lack of “clutter” and threads that go on and on just isn’t there. 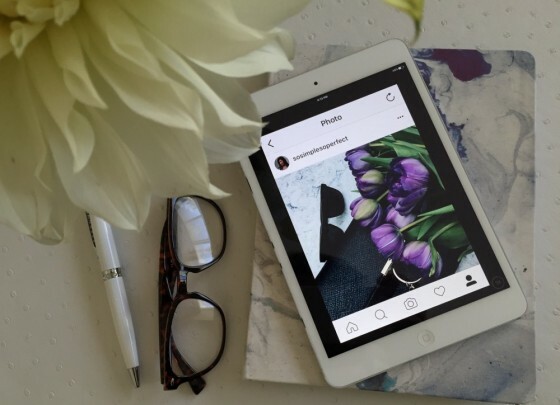 The simplicity in sharing photos and the fabulous filters make is so perfect for posting a quick read! It is relatively simple to set up an Instagram account and, like Facebook, everyone has a profile and a news feed. When it comes to posting on your feed, you can share your photos and your videos publicly or privately. I will be posting more on Instagram over the next while and I hope you follow me. You can click on the icon below or find me at #sosimplesoperfect. If you need a smile in your day…or a chuckle, think about setting up an Instagram account. I’d love to follow you! Enjoy your weekend…thanks for stopping by!